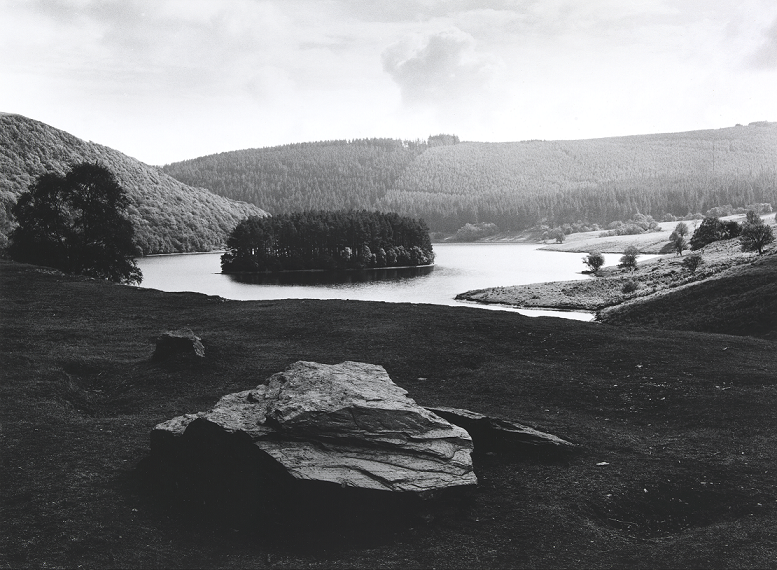 Fay Godwin's, The Drovers' Roads of Wales, with Shirley Toulson was published in 1977, early on in a career that spanned 40 years of unmatched landscape photography. Following documentary work, literary portraits, collaborations with major writers, and exhibitions, Fay Godwin produced a series of iconic volumes, Land (1985); Our Forbidden Land (1990), made when she was President of the Ramblers Association; Edge of the Land (1995), and Landmarks (2001) the book and exhibition at the Barbican, London, surveying her entire career. A selection from The Drovers Roads of Wales exhibition prints, on loan from the National Library of Wales, is to be shown at MoMA Machynlleth, marking 40 years since the original exhibition and publication of the book in 1977. The show is curated by Diane Bailey and Geoff Young who run the small, hidden-gem that is Pen'rallt Gallery Bookshop in Machynlleth. To reflect the status of Fay Godwin as a British documentary photographer in the landscape, the exhibition will be augmented by a selection of her photographs chosen by people who knew and worked with her, including influential photography historians, Ian Jeffrey and Roger Taylor; writer, photographers Paul Hill and John Blakemore; writers Mike Parker, Jim Perrin, her agent Anthony Stokes; one of Fay's printers - photographer Peter Cattrell; Wales based photographers Pete Davis, Marian Delyth, Aled Rhys Hughes, Jeremy Moore and Jean Napier; two of her assistants Caroline Forbes and Geraldine Alexander; one of her sons, Nick Godwin and, not least, Shirley Toulson, now in her early nineties. Their extended captions alongside each print will provide an unusual, refreshing and very personal appraisal of a life-time's work. A parallel exhibition at Pen'rallt Gallery Bookshop, Machynlleth, to include work by Caroline Forbes, Pete Davis, John Davies, Marian Delyth, Paul Hill, John Blakemore, Jeremy Moore and Roger Tiley, amongst others, will demonstrate the extent of that influence. Fay Godwin images © The British Library. Used with permission.